24-hour forecast: Sunny with cloudy spells today and partly cloudy tonight. Showers or thunderstorms will be isolated except for a few more over the south tonight. Today E 5-15 kts Light Chop-Choppy 2-4 ft MOSTLY FAIR WITH ISOLATED SHOWERS. Tonight E 5-15 kts Choppy 3-4 ft A FEW SHOWERS OR ISOLATED THUNDERSTORMS SOUTH. Tomorrow E 5-15 kts Light Chop-Choppy 2-4 ft ONLY ISOLATED SHOWERS. Outlook E-NE 10-20 kts Choppy 3-4 ft A FEW SHOWERS OR ISOLATED THUNDERSTORMS MAINLY SOUTH. 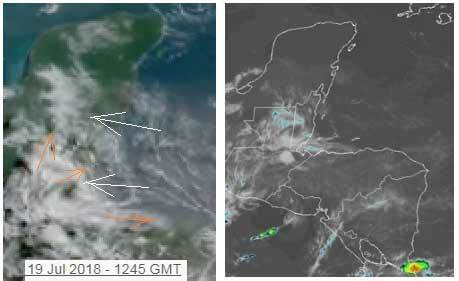 There are pulsing gale force winds in the far SW Caribbean near the coast of Colombia. A tropical wave crossing the W Caribbean is discussed in the section above. Elsewhere, low-cloud streamers with brief isolated showers will continue over the far eastern Caribbean through Thu. Scattered showers and thunderstorms are over the interior sections of Hispaniola and Cuba. Mostly fresh E winds will continue over the central Caribbean Sea, and strong NE-E winds will be over the SW and S central sections of the Caribbean, through Sat. 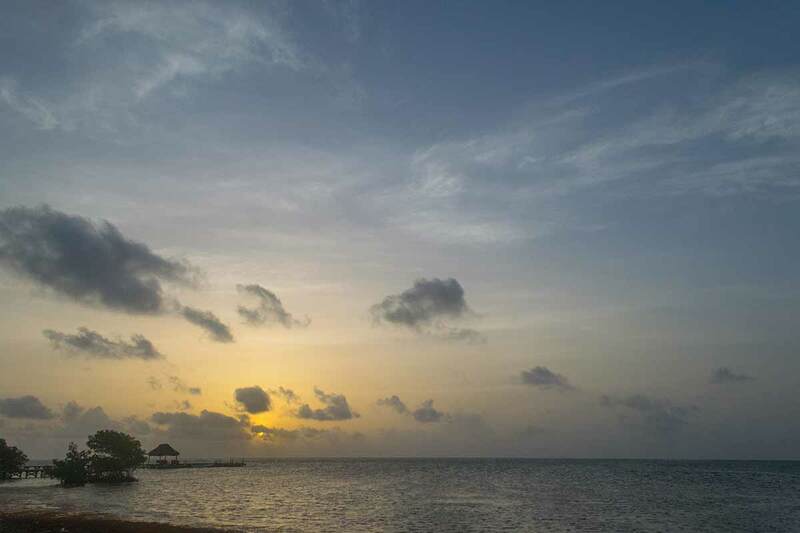 On Ambergris Caye this morning the breeze is from the East at 10 mph. The sea around our barrier reef is calm and . 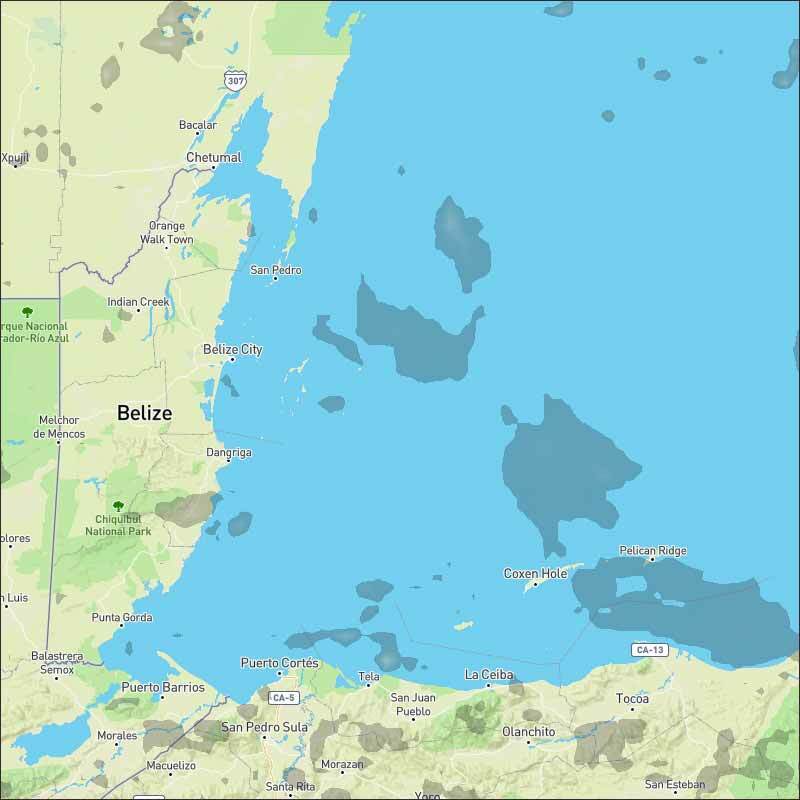 Today's expected high is 89 f.
Swellups over Honduras, spread out over parts of south and central Belize last night, but have now disappeared, there is little or no rain at present anywhere in Belize. The easterly Caribbean wind has lines of cloud in it and there is some high level cloud over parts of south and central Belize, but not causing rain. Some Sahara dust back. Looks like today will be a mixture of cloud and sunshine, there could be some rain later today.